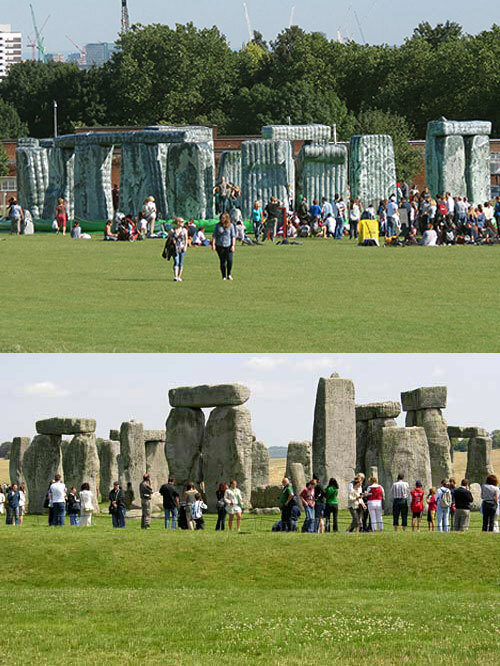 Sacrilege is a life-sized inflatable replica of Stonehenge for people to bounce on by Turner Prize-winning artist Jeremy Deller. 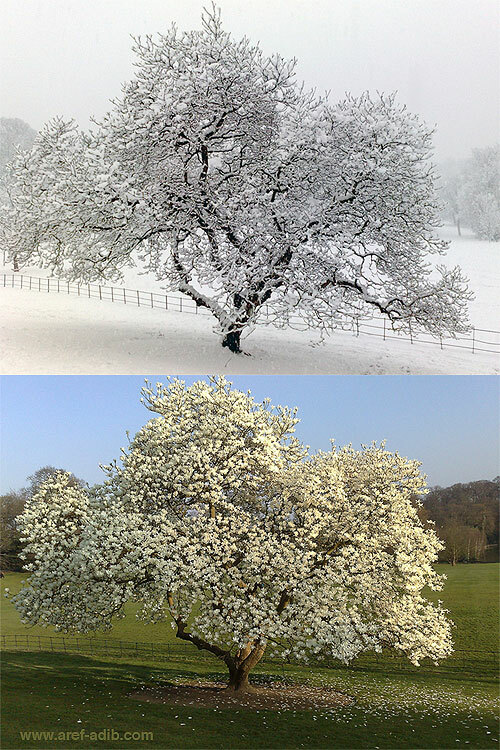 Magnolia Tree at Kenwood House in Winter & Spring. Hottest end to September since 1895. 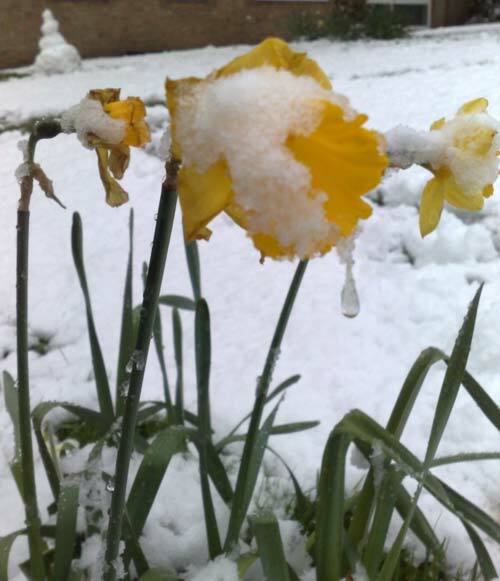 Temperature reached 29C in London. Liberty's mock Tudor facade was assembled from the timbers of two ships, HMS Hindustan and HMS Impregnable. 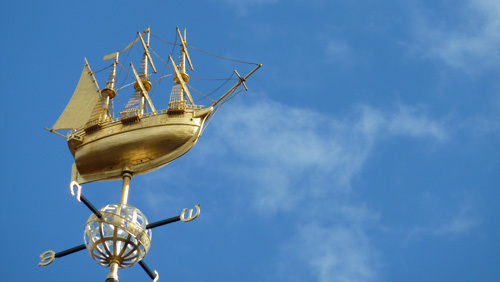 The weather vane was designed by EP Roberts in the 1920s. Walls of water rise and fall randomly to create a series of constantly changing rooms, challenging visitors of all ages to try their luck at predicting its next move. Pebbly sculpture of flower sellers and sheep on London Fields, Hackney, London. Epping Forest is the largest public open space in London. London Plane is an introduced hybrid tree widely planted in London streets and squares. It is a cross between two parent species - the Oriental plane (Iranian Chenar) and the Occidental plane (American Sycamore) - both imported to Britain as ornamental trees. The London plane is very tolerant of atmospheric pollution and root compaction, and for this reason it is a popular urban roadside tree. 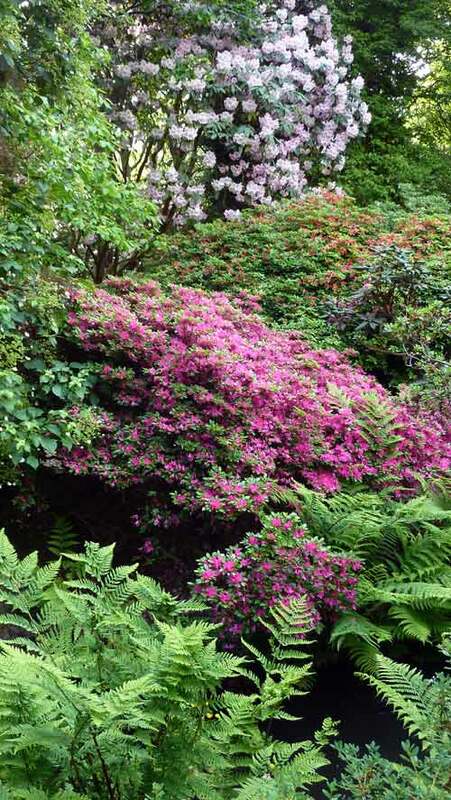 Many were planted 200 years ago and are still growing vigorously in London. Columbia Road Flower Market is one of many markets in Central London; a street flower market, it is located in East London. Columbia Road is a road of Victorian shops off the Hackney Road and the market is only open on Sundays. 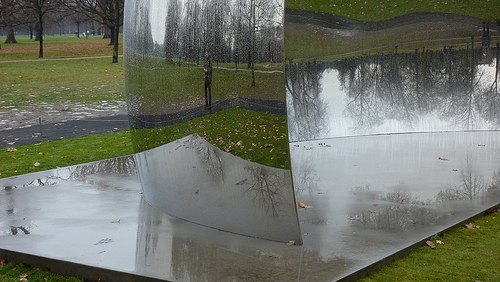 Anish Kapoor's giant curved mirror sculptures now have an outdoor setting. 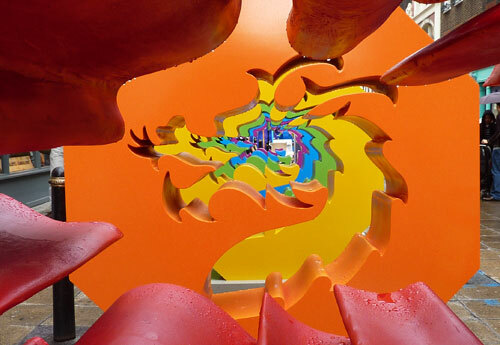 Four sculptures, creating distortions of their surroundings, have taken up residence among the trees and waters of Kensington Gardens. Drawn from Robert Freidus' extensive collection, Cut it, Fold it: Build it with Paper is a major exhibition at V&A Museum of Childhood featuring nearly 200 examples of architectural paper models. Half the models are still flat as they were sold. Collecting and making paper models has been a popular pastime since the later part of the eighteenth century, with many companies producing very collectible models. There was no pre-cutting or scoring on these models, so patience and a steady hand were crucial. South Africa Landscape showed the rich diversity of plant life from Cape region.The plants were chosen to highlight the rich diversity of flora in South Africa. The plants were shipped to Britain in a refrigerated container and it took four weeks to build the landscape outside the Museum. The amazing Waterhouse Building, the Natural History Museum in London has an ornate terracotta facade typical of high Victorian architecture. The terracotta mouldings represent the past and present diversity of nature. The exhibition No Love Lost: Blue Paintings by Damien Hirst is at The Wallace Collection from Oct. 14, 2009, to Jan. 24, 2010. 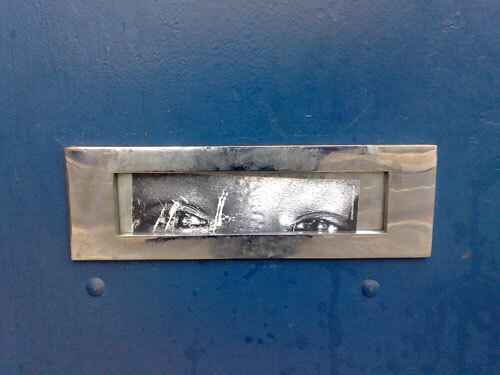 It features 25 works done between 2006 and 2008 that mark the artist?s return to painting. 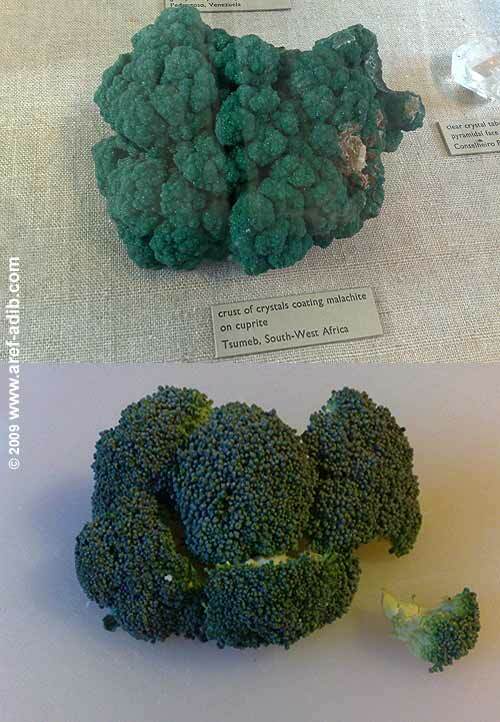 We spotted this broccoli look-alike in the Natural History Museum. 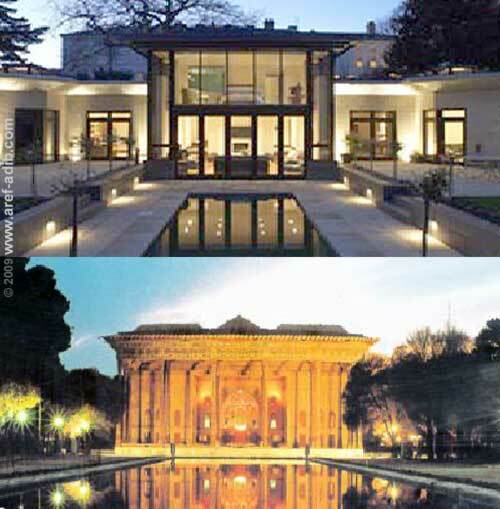 Linear House, Highgate, North London and Chehel Sotoun in Isfahan, Iran. Open House is London's largest architectural showcase. 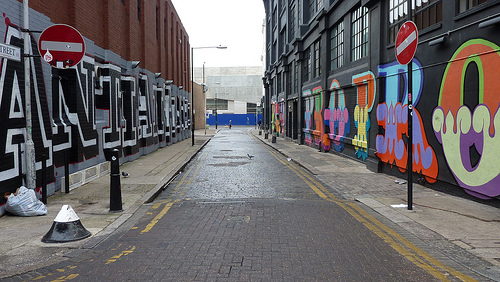 For one weekend in the year, 700 buildings of every conceivable type, shape and size open their doors to Londoners. 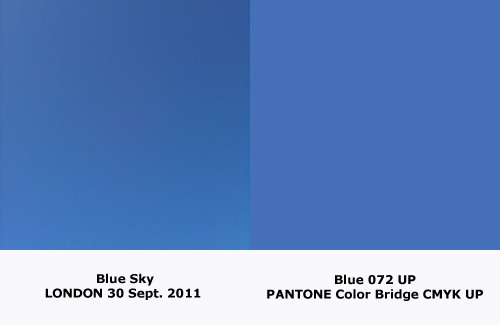 This year we went to two places: a modern private house and a yurt! Linear House is a modern house built on a sloping site. The building takes its reference from the classical architecture in its symmetry and proportion. 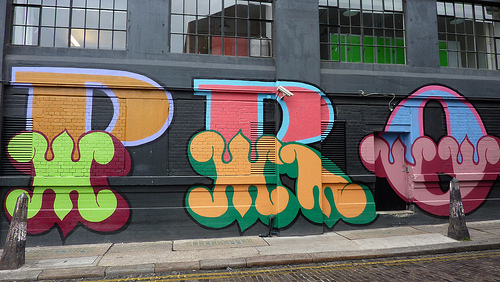 Bortusk Leer's fluorescent naive monsters in the East End of London. 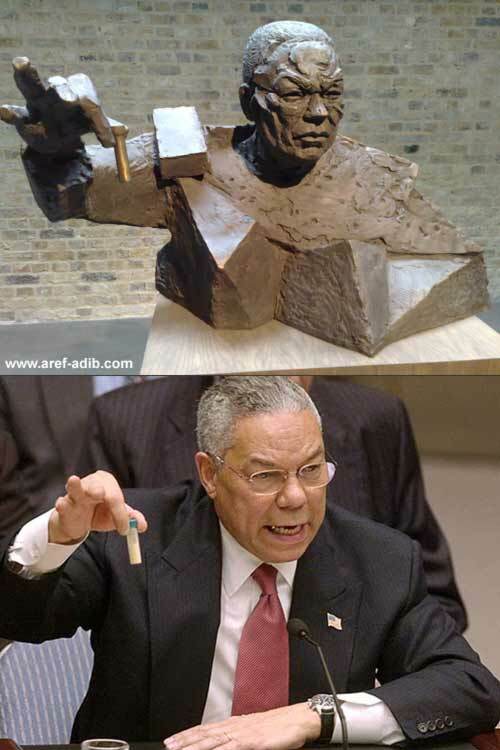 The sculpture of former US Secretary of State Colin Powell is based on a photograph taken when he addressed the UN in 2003, making the case for war, and is part of Goshka Macuga's exhibition at the newly redeveloped Whitechapel Gallery. My favourite magnolia tree in Kenwood Park. Last Saturday Max and I went to see Kheimeh Shab Bazi (traditional Iranian marionette puppet show). The Aran Puppet Theater Group, headed by Behrooz Gharibpour, brought Mobarak: Kheimeh Shab Bazi to the Great Court of the British Museum. 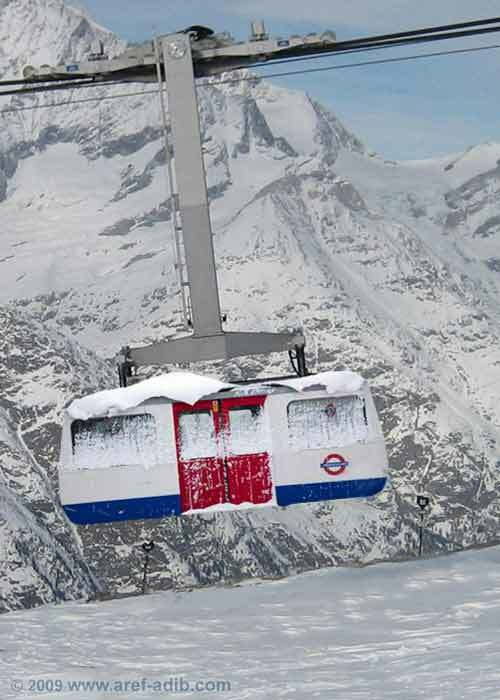 After heaviest snow for 18 years, what London needs is cable cars. 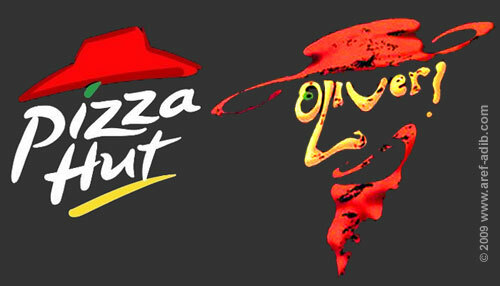 "Please sir, can I have another slice?" Oliver the musical is back and this new version has Rowan Atkinson as Fagin. Sun Yuan and Peng Yu are two of China's most controversial artists. The Old Persons Home is a satirical models of OAPs looking like old world-leaders, long crippled and impotent, left to battle it out in true geriatric style. 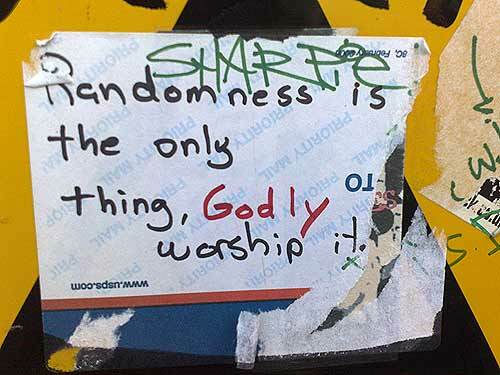 Randomness is the only thing Godly, worship it! After 26 years, I had a freshly baked sangak yesterday. 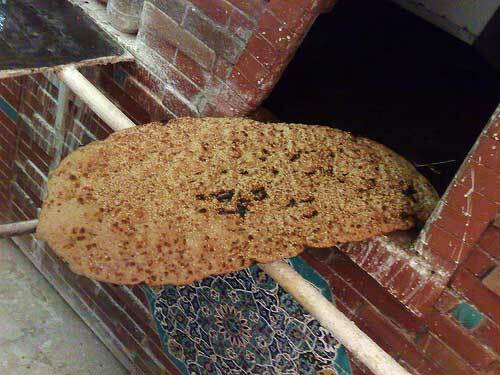 Sangak is a rectangular Persian flatbread. 'Sang' in Persian means stone or pebble and 'sangak' means little stone. This bread is traditionally baked on river stones (hence the name), and is topped with sesame seeds. 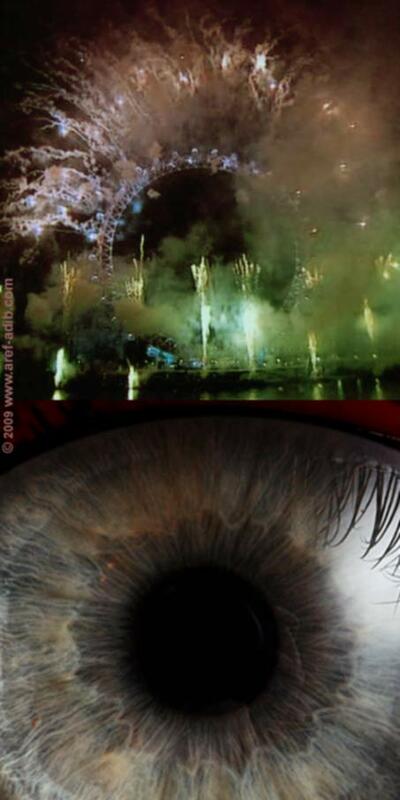 I wish you a prosperous, peaceful and happy new year with a shot of the New Year's Eve spectacular fireworks display on the London Eye and an iris of an eye. The London Profiler is an interesting website. One of the new data layers of London Profiler displays the relative concentration of ethnic groups in London. It is based on a technique that classifies populations through the origin of their names as a proxy for their probable ethnicity. 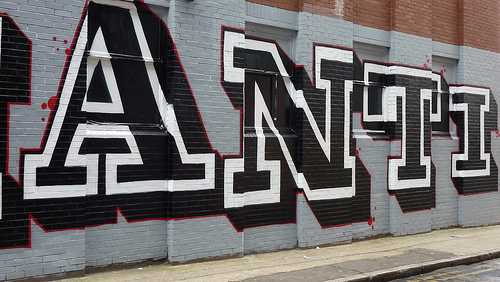 We went Street Art hunting in East London today. 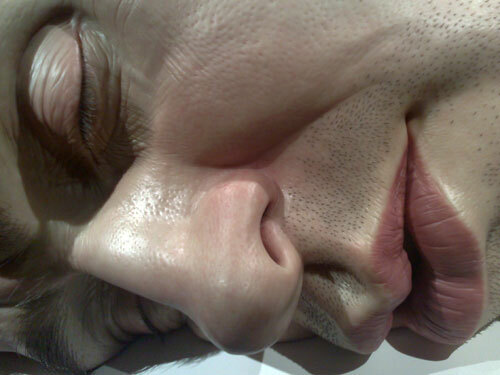 The huge head (Mueck?s self-portrait) is currently on display at the British Museum. 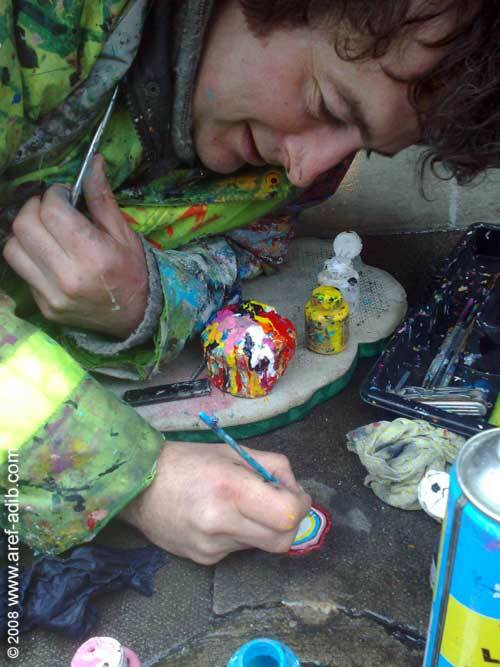 Ben Wilson spends everyday on the streets of North London, painting on the blobs of chewing gum that deface London's pavements. Apparently painting on the pavement is illegal so he paints on chewing gum that is stuck to it. 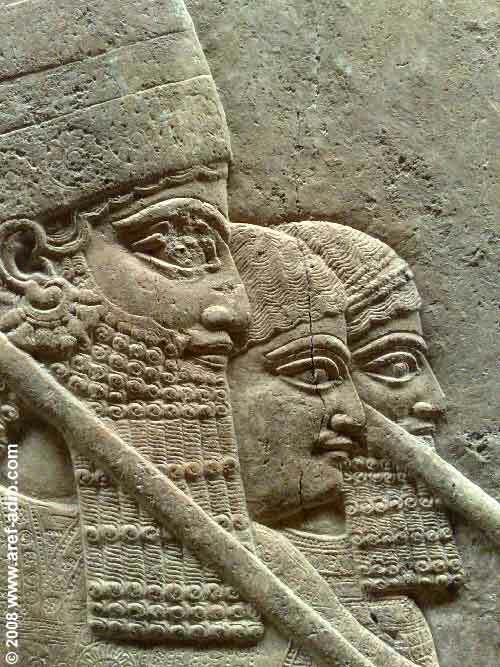 Detail of an Assyrian relief at the British Museum. 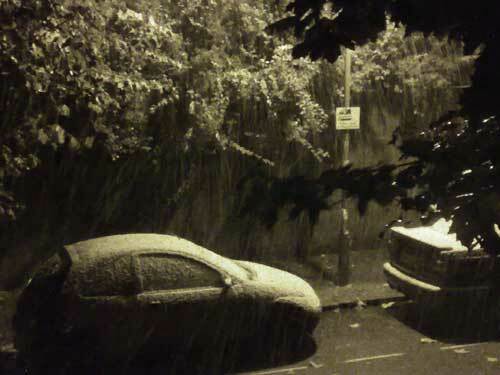 Snow in London last night. A commercial exhibition of contemporary Middle Eastern art is to be held from 7th to 25th October in London. The exhibition 'Routes' will showcase the work of 15 artists originally from Iran and Middle east. On 20th & 21st of September an incredible 700 buildings opening their doors to the public. 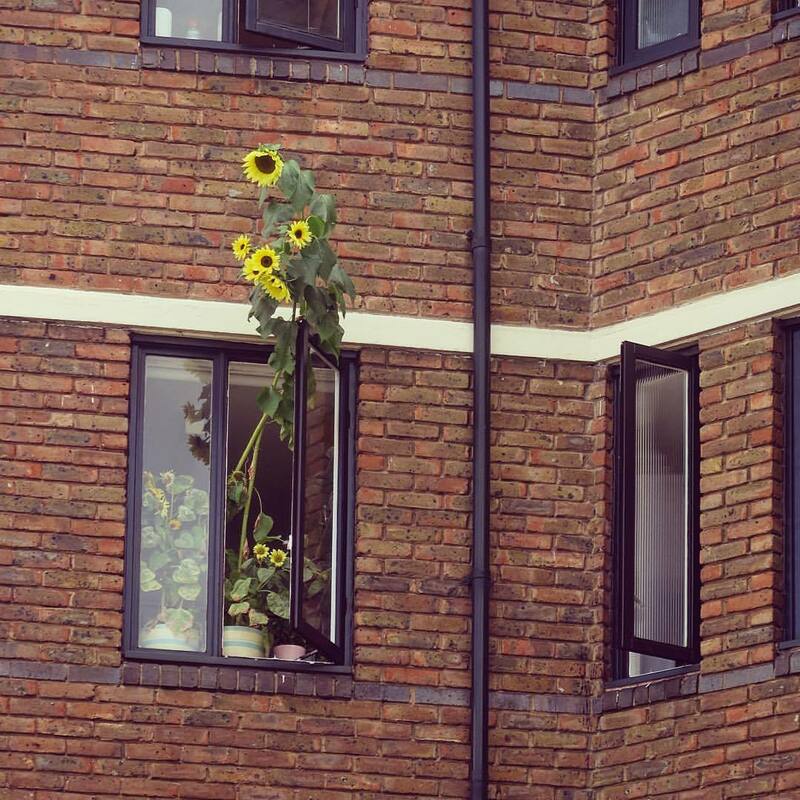 Londoners are given direct access to the creative teams that design, construct, conserve and regenerate their environment. Loved your catch of look-alikes. 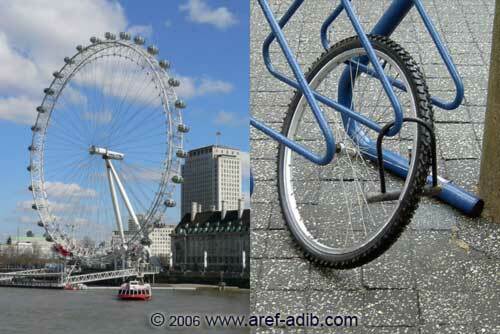 I found it by googling london eye and bicycle wheel. Yesterday Boris Johnson gave his London Olympics handover speech and told the watching world that: "ping pong is coming home". He said ping pong was invented on the dining tables of England and it was called whiff whaff before it became a Chinese national obsession. 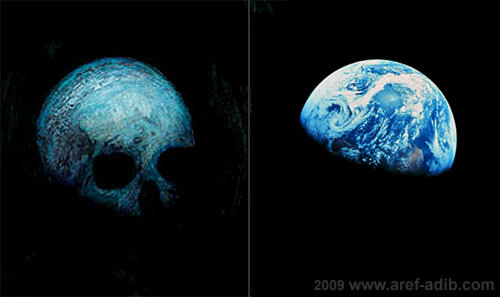 "There you have, I think, the essential difference between us and the rest of the world. Other nations such as the French looked at the dining table and saw the opportunity to have dinner. We looked at the dining table and saw an opportunity to play whiff whaff.? For the second time, Max did a small TV presenting job for the German channel ZDF. 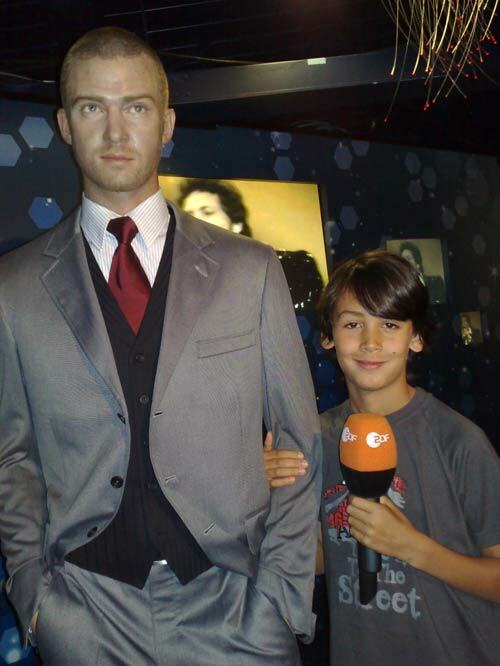 This time it was at the famous London tourist attraction Madame Tussauds. Wembley Market is the largest Sunday Market in England and is held in front of the new Wembley Stadium. 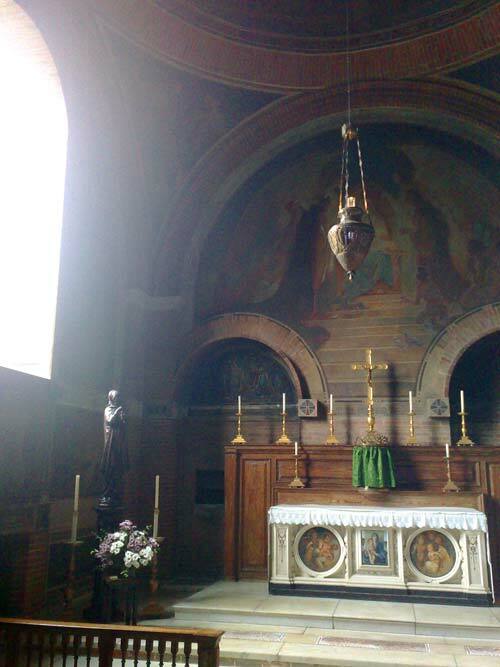 I took this photo of the interior of the parish Church of St Jude-on-the-Hill with my mobile phone camera. The interior reminds me a bit of Jan Vermeer's or Pieter de Hooch's paintings. In their works the light often enters from a window. St Jude-on-the-Hill is in the middle of Hampstead Garden Suburb, a model residential community planned by Henrietta Barnett for housing of all social groups, although the atmosphere there today is definitely middle class. 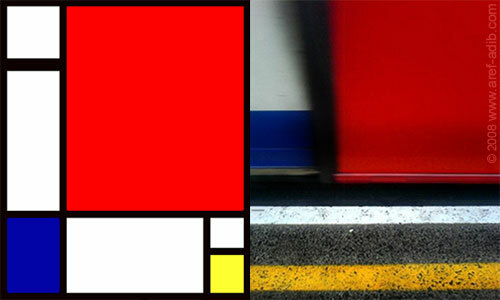 A Piet Mondrian's painting and the door of a London underground train. 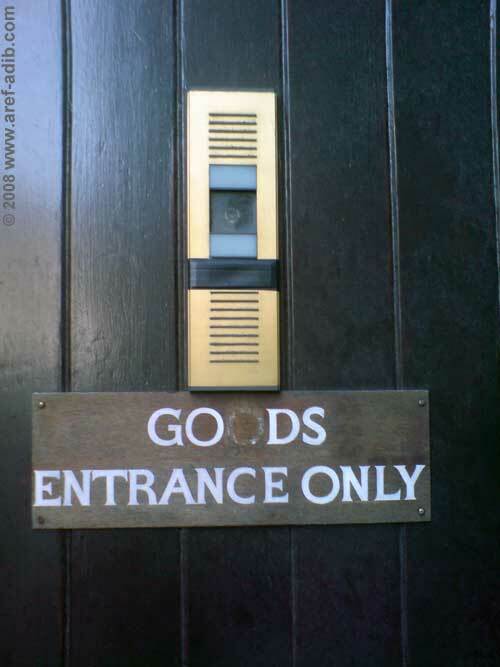 The entrance to a church on Crouch Hill, North London. Views of Shibboleth, a giant crack in the floor of the Turbine Hall in Tate Modern. 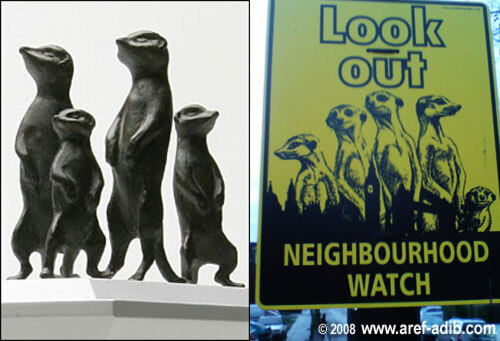 A meerkat family is one of the six shortlisted proposals that could occupy one of London's most popular tourist spots, Trafalgar Square. The six shortlisted proposals for the next commission for the Fourth Plinth in Trafalgar Square were unveiled at the National Gallery. The exhibiting artists are Jeremy Deller, Tracey Emin, Antony Gormley, Anish Kapoor, Yinka Shonibare and Bob & Roberta Smith. 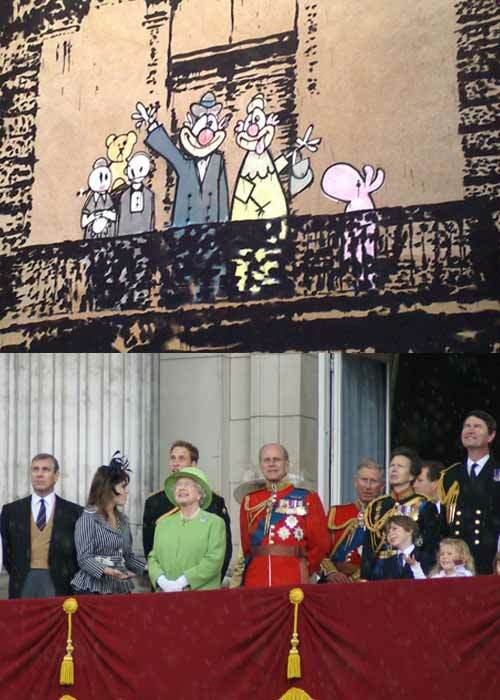 Each artist has produced a maquette of their proposed artwork for the empty plinth. The models are on public display in the National Gallery until 30 March 2008. 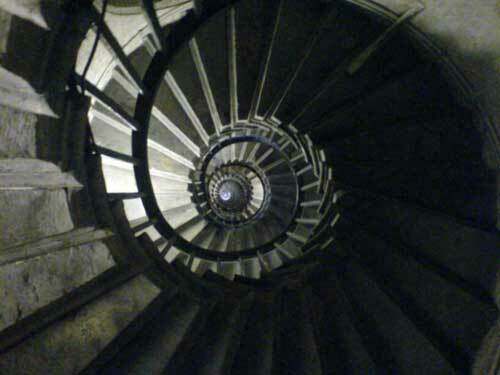 The 311 spiral steps of The Monument. We went up to the top of The Monument. An observation deck at the top has a great view over London. Designed by Sir Christopher Wren to mark the Great Fire of London in 1666. It is the tallest freestanding stone column in the world. 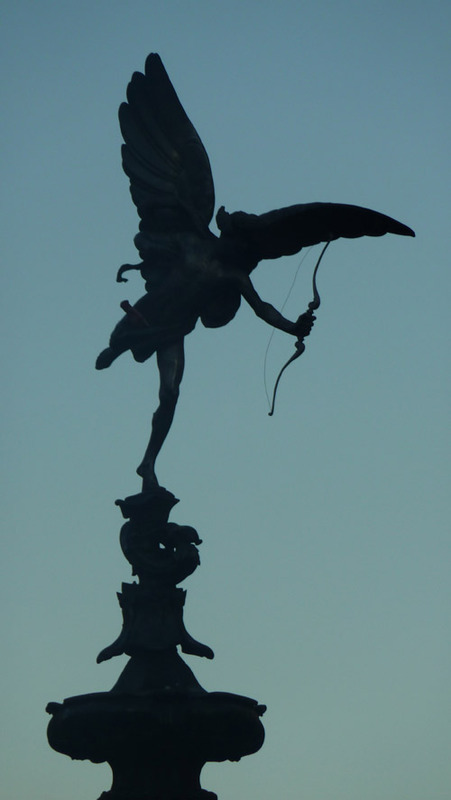 Yesterday I was passing by Tavistock Square so I took these photos. The front wheel is locked with a U-lock but the rest of the bicycle has been stolen. Locking the front wheel is obviously not a sufficient security measure in London. 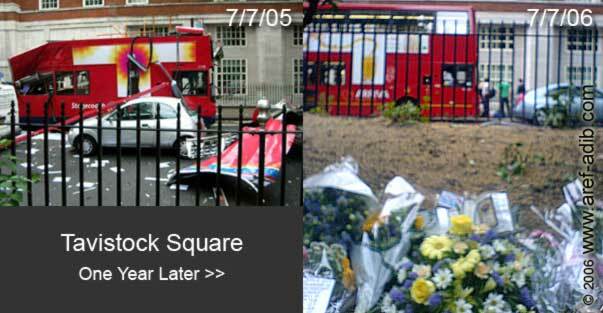 Within hours of the London bombings, London Mayor Ken Livingstone delivered a memorable speech. "I want to say one thing specifically to the world today. This was not a terrorist attack against the mighty and the powerful. It was not aimed at Presidents or Prime Ministers. It was aimed at ordinary, working-class Londoners, black and white, Muslim and Christian, Hindu and Jew, young and old. It was an indiscriminate attempt to slaughter, irrespective of any considerations for age, for class, for religion, or whatever." "That isn't an ideology, it isn't even a perverted faith - it is just an indiscriminate attempt at mass murder and we know what the objective is. 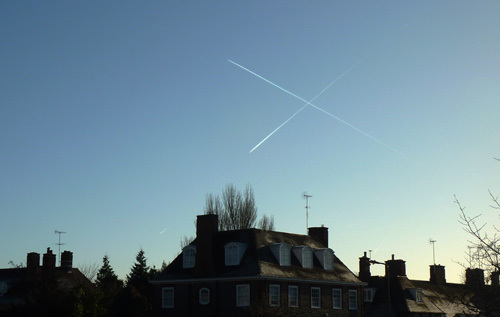 They seek to divide Londoners. 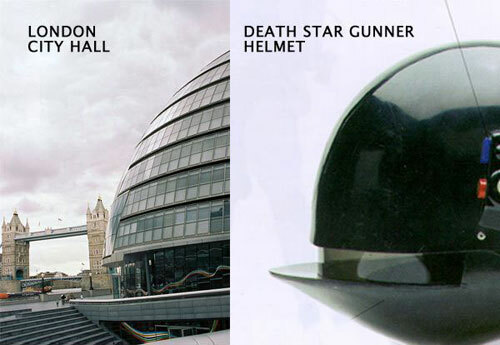 They seek to turn Londoners against each other. " >> Read full text of his statement. Bomb blasts plunge London into chaos. There are no news yet of the number of casualties, although BBC says that there are a number of deaths in several locations in the city. >> A Wikipedia entry on today's blasts has been started. Uncle Fred, the friendly Cockney translator can translate anything into Cockney rhyming slang. 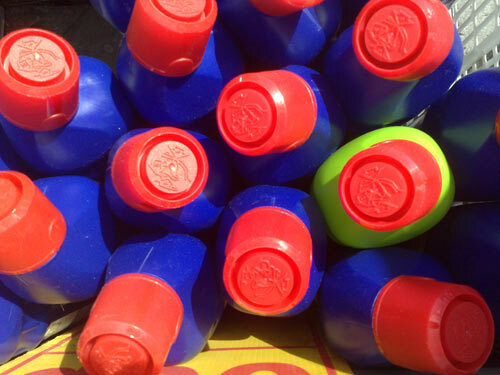 Can you recognise this? No mawer; an' by a Bo Peep ter say we end, innit?